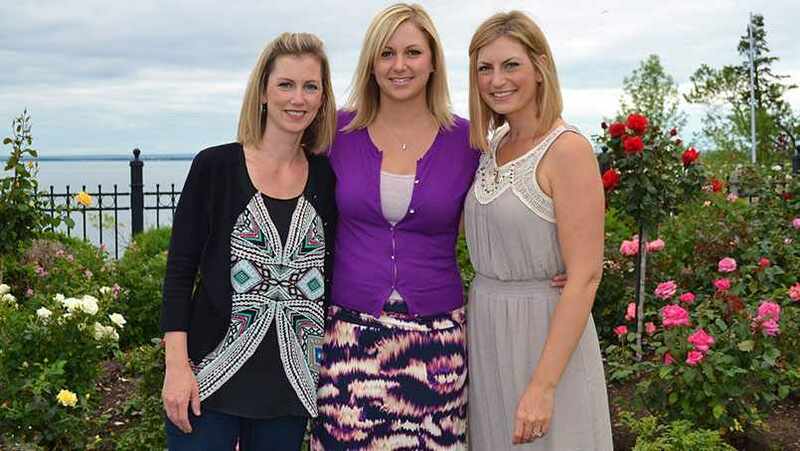 Laura, center, with her sisters, Rachel and Rebecca. Finding your calling in life is a gift. And Laura Finseth Scott found hers early. By the time she was in high school, she'd discovered an interest in human biology, a love of learning, and a rare gift for caring for others. Those qualities were part of what made Laura "the epitome of the perfect nurse," according to Alacia Pierce, one of Laura's colleagues in the Family Birthplace at Mayo Clinic Health System – Franciscan Healthcare in La Crosse. "Everyone on the floor wanted to be more like Laura." Pierce's sentiments were shared by many of Laura's colleagues, family and friends, who gathered for a moving ceremony on May 8, when Laura was honored posthumously with a DAISY Award for Extraordinary Nurses from The DAISY Foundation. Pierce nominated Laura, who died in a car accident on Dec. 20, 2014, for the award, which honors "the super-human work nurses do for patients and families every day." Laura's family, including her sister, Rebecca Eisenman, accepted the award on her behalf. 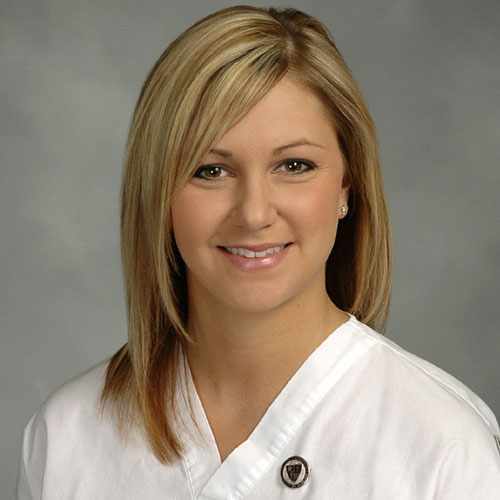 Laura's nursing graduation photo, which held a special place in her heart. The ceremony "was an awesome tribute" to Laura, Rebecca tells In the Loop, adding that it was a "blessing" to see Laura's "impact on the team" and to "thank her colleagues for the role they played in her life." If you ask those colleagues, the thanks go to Laura. Angela Beitlich tells the La Crosse Tribune that Laura "inspired everybody to be a better nurse, person and friend." And she tells us that Laura's legacy "can be felt every day." Members of the tightknit team of nurses in the Family Birthplace now wear angel wing pins on their badges in remembrance of Laura. Pierce says the pins represent Laura's continued presence on the floor and her role as "an angel watching over me, my co-workers" and "the patients we care for." The pins' color — gold — reminds her of Laura's personality. She was "energetic, friendly, happy" and "passionate about life," Pierce tells us. 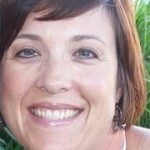 And Laura shared that warmth and enthusiasm with her patients. She had "a caring, compassionate and healing presence," says colleague Bonny Young, adding that Laura "understood people, she loved people, and she helped all." Rachel Genz, Laura's sister, tells us that Laura "always felt the need to do whatever she could to make life better for others." And her legacy of caring will continue through the Laura Finseth Scott Nursing Scholarship, which her family established "to share Laura's joy in nursing" and "help other young people in their pursuit" of a nursing career. The family is also donating a Noelle maternity simulator to Mayo Clinic Health System in Laura's honor. "Laura loved learning something new," her mother, Mary Finseth, tells us, and she would have been "very excited' to work with the simulator. Though the pain of their loss "is unending," Laura's sister Rebecca tells us that "Laura's life is a cherished gift" that her family will "carry with us forever." Share your comments below and then use the social media icons atop this page to share this story with others. A beautiful tribute to a beautiful person. Some say angels are among us in everyday people we meet. Saints alike don’t need to go through a Canonization process to be Saints. As I read this moving story of care and compassion at Mayo Clinic, two thoughts came to mind repeatedly. Clearly nurse Laura was an angel of care, healing, compassion, and probably Grace to some who were her patients. With her energy almost palpable, and her influence that continues now and will continue into the future through the Foundation, and her colleagues feeling Laura watching over them, did we truly a Saint among us have? More so, if her colleagues or others who have learned of Nurse Laura believe that when they have called on Nurse Laura for enlightenment, Nurse Laura somehow guided them to do the right thing for the patient, does this suggest goodness of a Saint? Not a zealot by any means, but something about Nurse Laura’s story is different than an ordinary feel-good story.